England will be more dominant on the international stage if Premier League coaches put more faith in homegrown players, former captain Wayne Rooney has said. England will be more dominant on the international stage if Premier League coaches put more faith in homegrown players, former captain Wayne Rooney has said. England did not win a major tournament during Rooney's 13-year international career but their first run to the World Cup semi-finals in 28 years represented real progress. The 32-year-old, who is the leading all-time leading goalscorer for both England and Manchester United, believes Gareth Southgate's team can build on their success if young English players are given more chances to prove themselves. "I think there are more homegrown players, well not more, but homegrown players get a chance and they stay in the team, in particular (in) Germany, Italy," Rooney told ESPN. "In England, they have a lot of foreign coaches who buy players in, players that they maybe know and play them all the time... I think a little bit more faith in young English players will help the national team." Rooney used the example of his former teammate Jesse Lingard, who impressed at United last season and played every game for England at the World Cup, to highlight his point. The former Everton striker also warned England against resting on their laurels. "Success in football is to win titles," he said. "It's like, England in 1990 got to the semifinal, England 2018 got to the semifinal, but you'll be remembered for the semifinal, not for winning the title. "You have to win titles. If you want to be remembered, you want to create history, you want to be known as a successful team, you have to win titles." 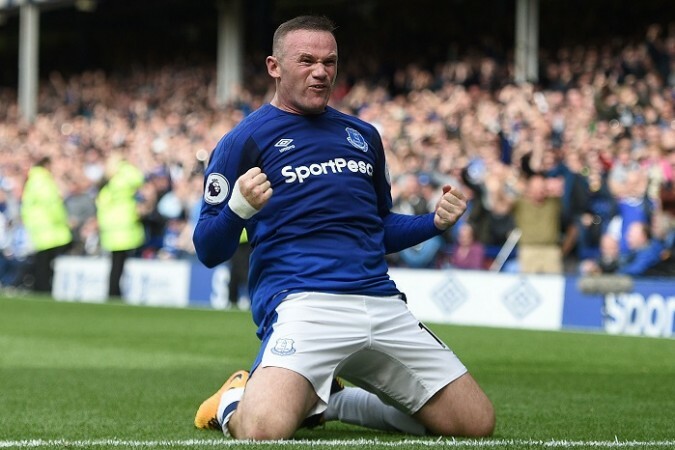 Rooney returned to boyhood club Everton last season and was their top scorer but has since left the Merseyside outfit to join American Major League Soccer side D.C. United last month. "For whatever reason, I still don't know. I felt I was doing OK, I was top goal scorer (despite) playing most of the season from midfield, so...," he added.